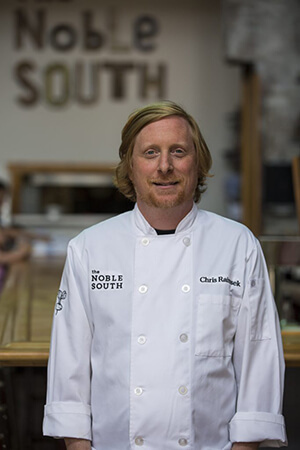 Meet our head chef and owner, Chris Rainosek. Born and raised right here in Mobile, AL, his mom had him cooking in their kitchen from a young age. After graduating from McGill-Toolen and the University of Alabama, he pursued his passion of cooking at the premier Culinary School of the Rockies in Boulder, Colorado. 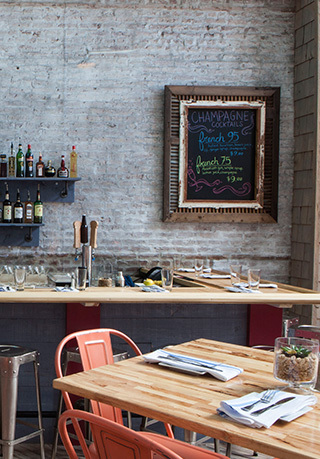 In 2006, he returned to Mobile and turned the restaurant scene upside down. 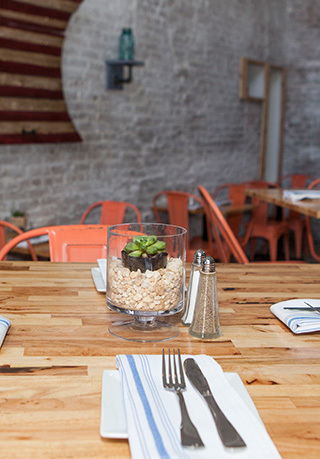 He created the menu at Dauphin Street Taqueria, featuring authentic Mexican cuisine. 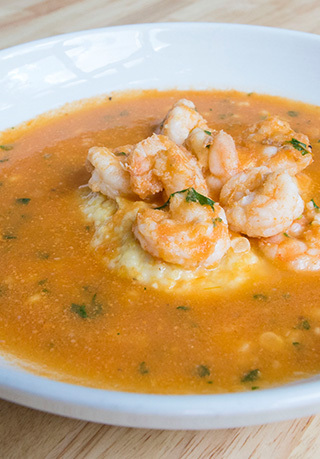 He is the head chef at The Wash House in Fairhope and the owner and head chef of his own The Noble South. He is passionate about creating beautiful, tasty food that the consumer knows is fresh and local. 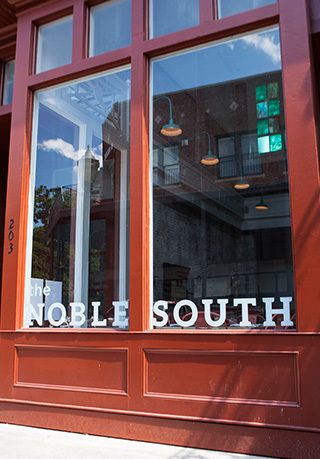 The Noble South is a true farm-to-table restaurant that uses only the freshest ingredients from local farmers so the menu is ever-changing. 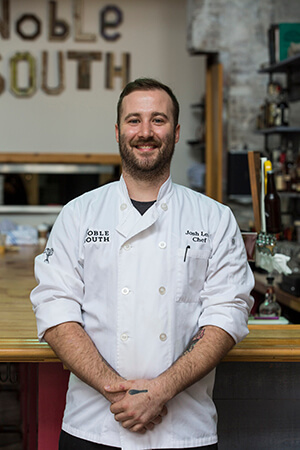 Josh Lear is the sous chef at The Noble South and has been with us since we opened our doors in 2015. He creates our Sunday Brunch menu each week and recently won “Eat Yall’s Sweetest Chef of the South Most Creative Dessert.” If you’ve ever been to a private party that we catered, you can thank Josh for the beautiful, creative and fresh food. Josh is a great addition to our team because he loves getting creative in the kitchen. Myles has been our manager here at The Noble South 3 years. Before running our ship as our General Manager, he was the GM at Camilla Café and Senior Operations Manager at the Grand Hotel. 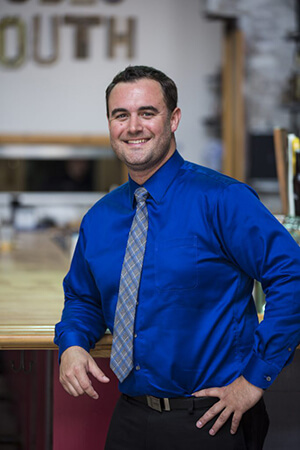 He has nearly 20 years under his belt organizing, planning, and running events for commercial and personal parties. In addition, he has a passion for bringing good, fresh food from local vendors straight to the table of The Noble South.